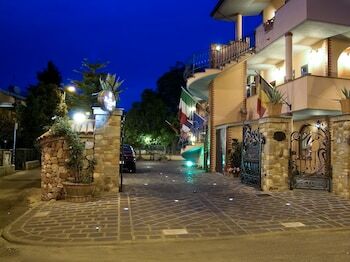 When you stay at Hotel Louis II in Ciampino, you'll be 14 minutes by car from University of Rome Tor Vergata. Featured amenities include express check-in, a 24-hour front desk, and multilingual staff. Free self parking is available onsite. Located in Lecce, Agriturismo Al Parco is within a 10-minute drive of Chianca Tower and Torre Chianca Beach. Free self parking is available onsite. With a stay at Villetta La Cinta Beach A in San Teodoro (San Teodoro City Centre), you'll be steps from San Teodoro Beach and La Cinta Beach. Free self parking is available onsite. With a stay at Raphael Rooms, you'll be centrally located in Rome, a 1-minute drive from Vatican Museums and 6 minutes from Spanish Steps. Easy Dream Murta Maria - Porto Istana offers accommodations throughout the area in Olbia. Free self parking is available onsite. With a stay at this apartment in Milan, you'll be within a 15-minute drive of Fondazione Prada and Bocconi University.